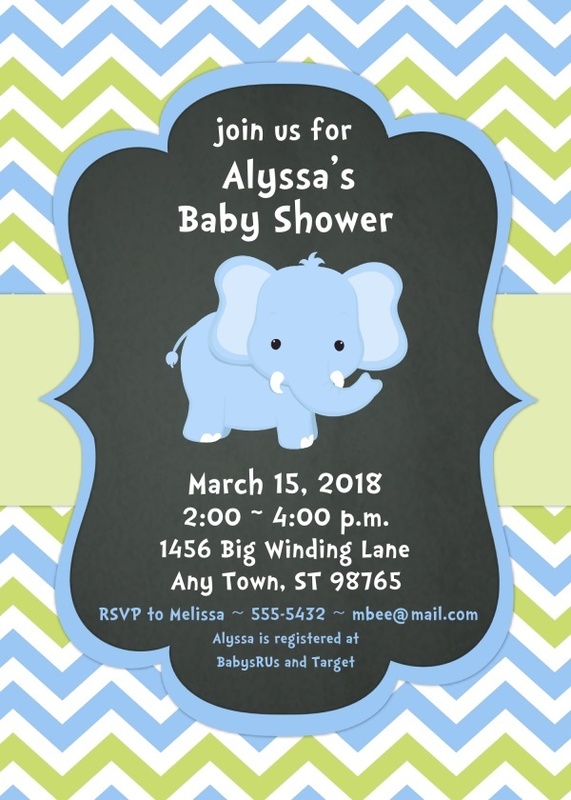 How delightful to introduce your guests to your theme by sending out these totally adorable blue elephant baby shower invitations. We gladly change up the colors for at no additional charge. Text given is an example for a baby shower; you can surely change them for a child's birthday invitation too! The text for your invite is totally up to you!